Our top notch sales team sold the only shawl we had at Western Welcome Week so I (Aunt Geri) was intent on finishing another one for our Cliff House Charity sale benefiting the Colorado Humane Society and Cimarron Sky Dog Reserve on Sept. 7th. So, in between making green chili stew, we’re having a Bar-B-Q at our fundraiser, and baking and decorating the cutest cookies for the benefit sale; I whipped up this shawl. It’s a yummy hand-dyed alpaca silk blend with a polymide accent for the Fairy’s fancy! I knit it with a somewhat open stitch pattern so it won’t be too warm. Uncle Jerry and I are off to Nebraska early tomorrow morning, and I can’t wait to see some of you on the 7th at Cliff House Ranch. I’m SO excited to see the mini horses and whatever tricks Heidi and Boogie have in store for us! 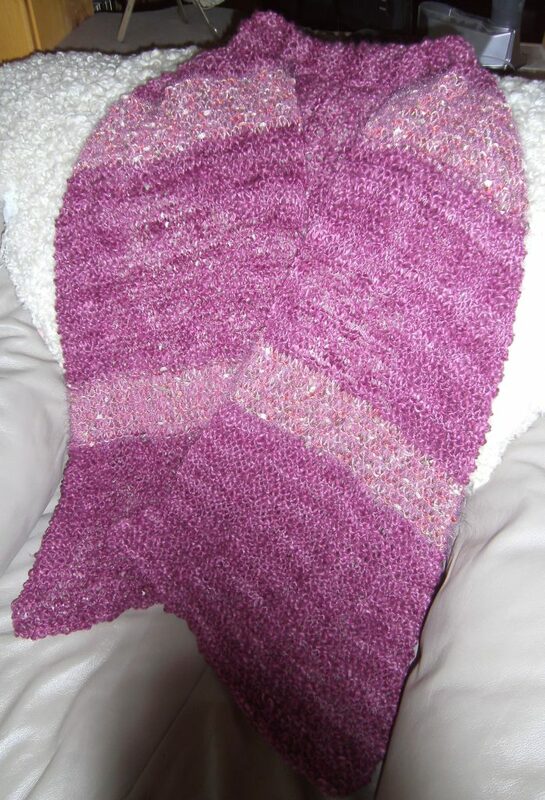 This entry was posted in Fashion, fiber art and tagged knitting, shawls. Bookmark the permalink.